Bathroom sink plumbing is made up of quite a few different parts that can break, leak, or become blocked. If you have to buy a part, look something up, or call a plumber it will be easier if you know the names of the plumbing pieces. But, to make things more complicated some plumbing component names are not self-explanatory at all. So, it really helps if you have pictures to refer to as well as an idea of how the pieces work and how each fits together with the rest of the bathroom sink plumbing parts. Shut off valves are installed for each fixture in the home to make it easier to turn off the water to an isolated area for repairs. There are all sorts of shut off valve types depending on your plumbing system and method of installation but they all do the same thing. Whenever there is a leak or if you are going to replace or repair any part of the bathroom sink plumbing the shut off valve at the sink is where you'll turn off the water. Note that if you are replacing the faucet or the water supply lines it's often a good idea to also replace the shut off valves since they are likely to be the same age. Valves that sit for a long time may not turn off when you need them to so changing them out can help ensure that they will work well down the road. 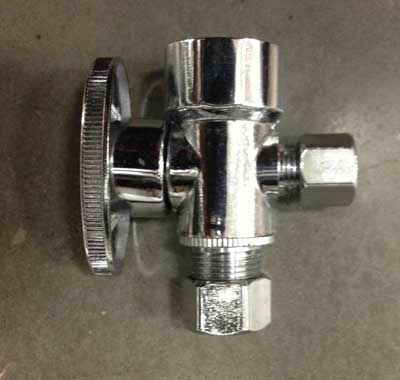 The supply lines connect to the shut off valves and take the water to the faucet. Both the supply lines and the shut off valves should be checked for leaks periodically and new supply lines should be installed when replacing the faucet. A bathroom sink pop-up is a convenience feature that is made up of parts above and parts under the sink. The pieces of the pop-up under the sink are the pop-up tailpiece and the horizontal rod that moves the stopper up and down in the sink. When clearing a slow or blocked sink drain you'll wanna start by removing the rod so you can pull out the drain stopper and clear out any hair or buildup that tends to collect on the stopper. A is installed in every type of plumbing fixture to hold water and keep the sewer gas smells from backing up into the home. In a sink the most commonly installed trap is a P-trap. This type of trap is the easiest to install or replace. There are two parts to a sink P-trap: the U-bend and the trap arm. U-bend - is the part of the trap that is shaped like a U with one side being longer than the other. This part of a P-trap is very often installed backwards by the do it yourselfer. Note that the longer part of the U should connect to the pop-up tailpiece and the shorter end should connect to the trap arm. Trap arm - is a straight length of pipe that connects to the U and the drain pipe. The drain pipe is the part of the bathroom sink drain that goes out through the wall (or down the floor) and connects to the rest of the home's main drain pipe. This is the section of pipe that you would use to snake a bathroom drain after checking that the stoppage isn't located at any of the other parts of the drain.